There's been an outcry after Facebook manipulated the news feeds of nearly 700,000 its users, as part of a newly published investigation into online emotional contagion. Here we bring you a handy round-up of some of the ensuing commentary and reaction. The Psychologist magazine brings us up to speed with the main findings and fallout from the affair (Wired's detailed coverage is also good). Lead author on the paper, in-house Facebook researcher Adam Kramer took to Facebook on June 29 to apologise. "...our goal was never to upset anyone," he writes. Kramer's co-authors were researchers at Cornell University. Cornell University claim that their researchers analysed data collected by Facebook, and had no part in data collection themselves. "Cornell University’s Institutional Review Board concluded that he [co-author Professor Jeffrey Hancock] was not directly engaged in human research and that no review by the Cornell Human Research Protection Program was required. Princeton University psychology Susan Fiske - editor at PNAS where the research was published - told Guardian Blogger Chris Chambers that she didn't have time to answer all his questions about the study. Retorts Chambers: "In what version of 2014 is it acceptable for journals, universities and scientists to offer weasel words and obfuscation in response to simple questions about research ethics?" John Grohol at World of Psychology pointed out that the text analysis used in the research was flawed. For example, “I am not having a great day” and "I am not happy" would be rated positive because of the presence of the words "great" and "happy". Over at Znet, tech blogger Steven J. Vaughan-Nichols said he knew all Facebook users were guinea pigs, but not that they were lab rats. "Stop it, Facebook. Stop it now. And, never, ever do anything like this again." NPR blogger Linda Holmes: "I speak here as a Facebook user and straight from the heart: It's gross. It's gross." "Facebook users more or less get what they should expect — and what they deserve, given that they use Facebook’s service for free". This the opinion of California Polytechnic ethicist Patrick Lin, as paraphrased by the Wall Street Journal. Calm down, says Alice Park at Time, "what Facebook did was scientifically acceptable, ethically allowable and, let’s face it, probably among the more innocuous ways that you’re being manipulated in nearly every aspect of your life." (similar sentiments from Forbes technology writer & Tal Yarkoni at New Scientist). "Until Facebook changes its practices," says Selena Larson at ReadWrite.com "there's only one way to assuredly remove yourself as a candidate for a scientific experiment: Delete your Facebook account." The Information Commissioner's Office in the UK announced that it is launching an investigation into whether Facebook breached data protection laws. 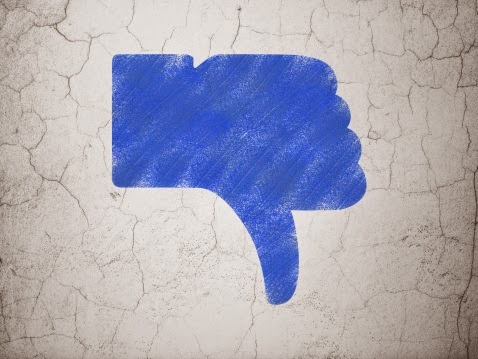 Facebook's study "appears to contravene all four principles of research ethics ... " said Kate Bullen, Chair, British Psychological Society ethics committee, and John Oates, Chair of the Society's research ethics reference group, in a letter to the Guardian. The journal PNAS, where the Facebook study was published, issues an "editorial expression of concern".